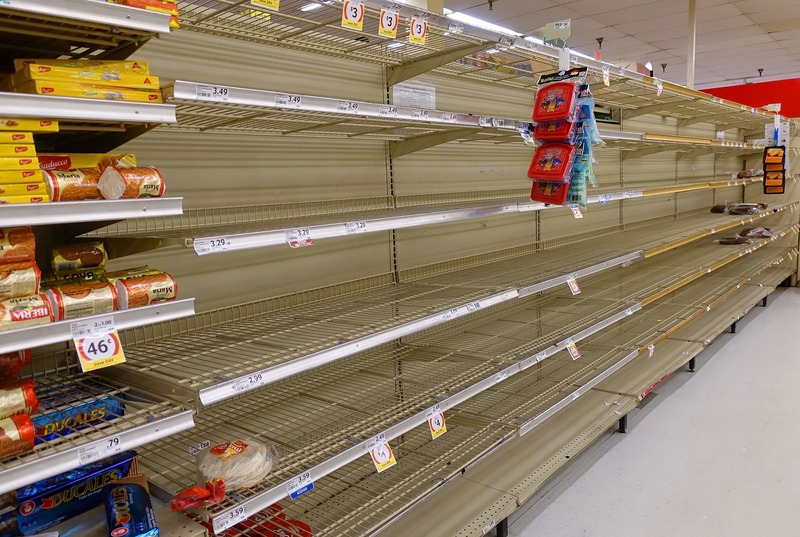 Canned foods aisle: Empty. Evidence of a stampede. Before you get caught in the crossfire of a potential grocery-crisis, know when to stock up on storm staples. And, as June was National Lightning Safety Month, what better time to read up on storm essentials? Let’s get things crackin’ (pun intended). It’s recommended that in the case of a storm, you have at least a three-day supply of non-perishable food in your home. By non-perishable food, we mean items that do not spoil rapidly. Yogurt, for example, would not be a non-perishable food, as it has a clear expiration date in which it will most likely spoil. Apple sauce, on the other hand, is a non-perishable item that can last for months without refrigeration without spoiling. Avoid foods that will make you thirsty. In the case of a storm, you value the clean water that you have. Salty foods that can dehydrate you and make you thirsty will force you to quickly deplete your supply. Likewise, avoid foods that must be refrigerated. 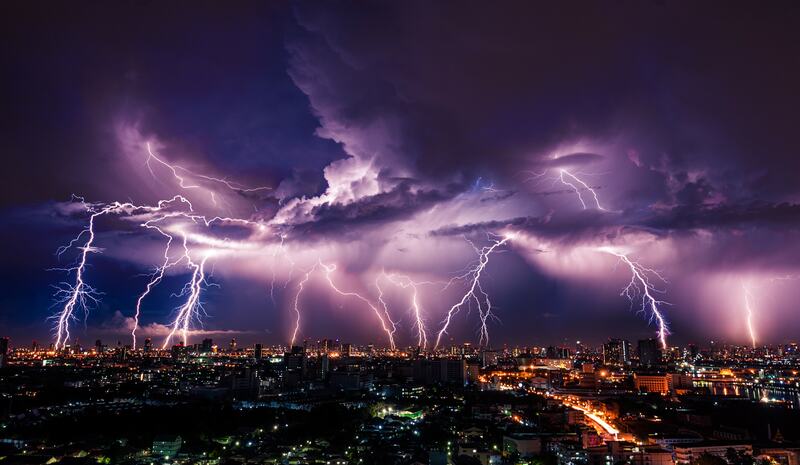 Lightning storms carry the strong possibility of a power outage, meaning that your fridge may become useless. You’ll want to stock up on foods that can hold up without being kept cold. Last but not least, make sure you have a manual or battery operated can opener. A bunch of the foods we’re going to be mentioning require the use of a can opener, so having one in the house is a must. 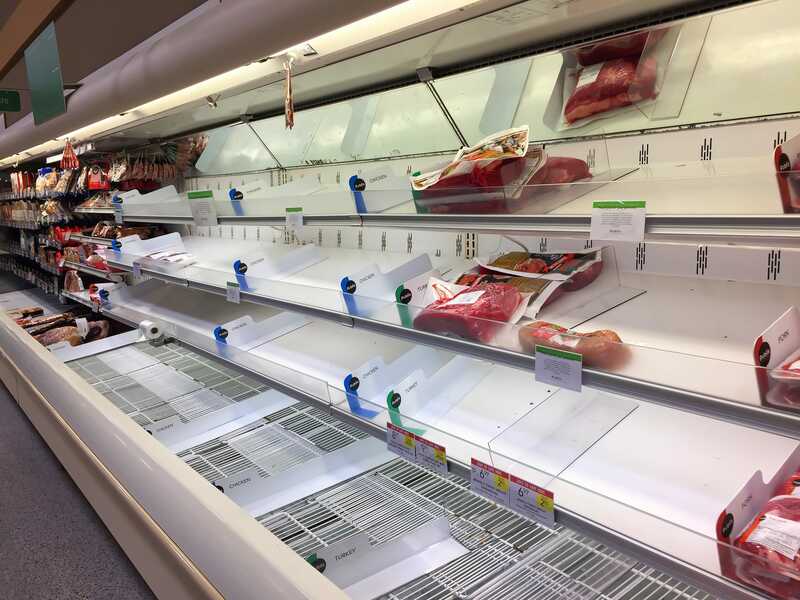 Alright, now that you know the basics of the storm survival guide, let’s dive into the nitty-gritty of the grocery list we would build for Lightning Safety Month. Feel free to mix and match based on your family’s preferences. Pro Tip: Look for vacuum-packed containers, these prevent nuts and trail mixes from oxidizing and losing their freshness. Pro Tip: With pasta and sauce, you’re half way to a great meal. Add in some of your hard sausage for a tasty dish. Or, use a soup such as cream of mushroom in place of sauce. Combining various pastas or rice with fun soup flavors can create delicious casseroles that are also filling. No fridge means no milk, and for many, that means no calcium. While there’s a mixed verdict on the taste, powdered milk is a great option to add calcium and vitamin D into your diet when you’re in a pinch. Keep at least three day’s worth of water for everyone in your family in the house. Staying hydrated is incredibly important, especially when you’re missing out on the foods that typically add some water into your diet. Also consider keeping sports drinks, such as Gatorade or Powerade, on hand to rehydrate and replenish. Shop smarter, not harder, this storm season! Download the free Basket app today to prepare your storm essentials Shopping List, and discover where you can purchase the necessities for you and your family at the cheapest price near you!